Whether its movies, music, books or pretty much anything else, at the end of each year I love reading all the lists of the years' best. As we near the end of the 00s, I started thinking of all my favorites of the decade and wanted to make my own list. The more I thought about it, the longer my lists got and the more difficult it became to rank them. So first up, in no particular order, are my favorite movies of the decade. 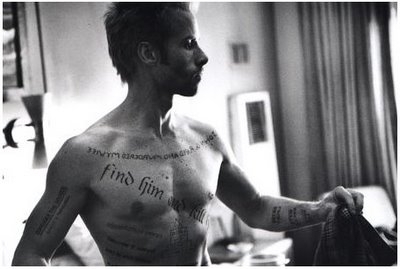 Memento (2000) Leonard, played by Guy Pearce, suffers from short-term memory loss and leaves himself notes (and tattoos) to help track down his wife's killer. Director Christopher Nolan keeps you on the edge of your seat in this thriller mystery. Dark Knight (2008) Another Christopher Nolan directed film and possibly my favorite Batman movie (Sorry Keaton!). It's safe to say Heath Ledger stole the screen and entranced us all with his portrayal of the Joker. 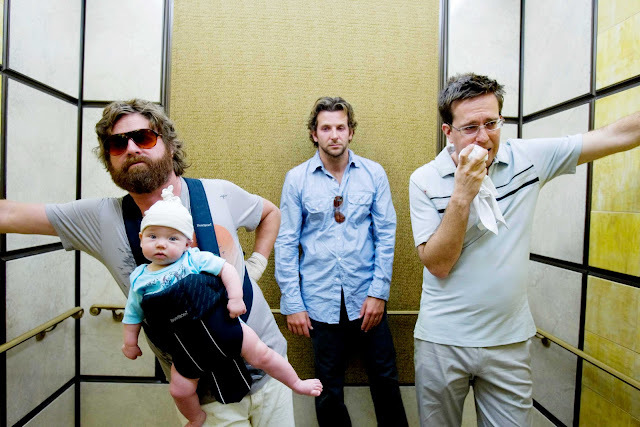 The Hangover (2009) Any movie with Mike Tyson singing "In the Air Tonight"needs to be on a 'Best Of' list. If you didn't laugh during this entire movie, hopefully it's because you have some rare disease that makes you incapable of laughter. The Queen (2006) An intimate glimpse of how the Queen and Royal Family struggle to cope with such a public tragedy, the death of Princess Diana. Helen Mirren was such a tour-de-force and had to be on this list. 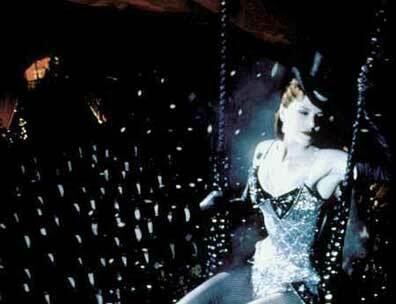 Moulin Rouge (2001) This movie made the musical relevant again. Not only is it just visually stunning, the modern music made everyone want to sing along. Director Baz Luhrmann is a genius! The Last King of Scotland (2006) Forest Whitaker gave such chilling performance as Ugandan dictator Idi Amin, the brutality was almost too hard to watch. He pulled us into his world and we couldn't look away. City of God (2003) The story of two bothers growing up in violent Rio de Janiero as their lives take different paths. Like Last King of Scotland, this is another brutal but completely beautiful film. If this list were in a numbered order, this would be number one. Tropic Thunder (2008) Words can not explain how hilarious this film is. It's crude, offensive and at times, extremely tacky... but that's what makes it so good. It doesn't take itself too seriously and just wants Hollywood and all the retards to lighten up. High Fidelity (2000) The ever adorable John Cusack plays Rob, a record store owner and compulsive list maker, who retraces his past girlfriends and top 5 breakups. Another extremely quotable movie. "John Dillinger was killed behind that theater in a hale of FBI gunfire. And you know who tipped them off? His f**king girlfriend. All he wanted to do was go to the movies." Grizzly Man (2005) Nature loving Timothy Treadwell documents his journey living with wild bears in Alaska. Sounds like a boring documentary, right? Dude gets eaten by one of the bears. The Devil Wears Prada (2006) Meryl Streep, who is normally the queen of drama, knocks every laugh out of the park with this hilarious comedy. Anne Hathaway proved she can hold her own against such a Hollywood dynamo. Mystic River (2003) An investigation of into the death of a young woman reunites three childhood friends and a tragedy from their past unfolds. Oh, and it's directed by Clint Eastwood and won a couple of Oscars. Little Miss Sunshine (2006) Dysfunctional is a understatement when describing this goofball family and their road-trip to the Little Miss Sunshine beauty pageant in a run-down VW bus. Donnie Darko (2001) Donnie, played by Jake Gyllenhaal, is a teen troubled by visions of Frank, a large bunny rabbit, which manipulates his fate. Time travel, alternate universes, hypnosis, mental illness and supernatural events make this movie a must see. 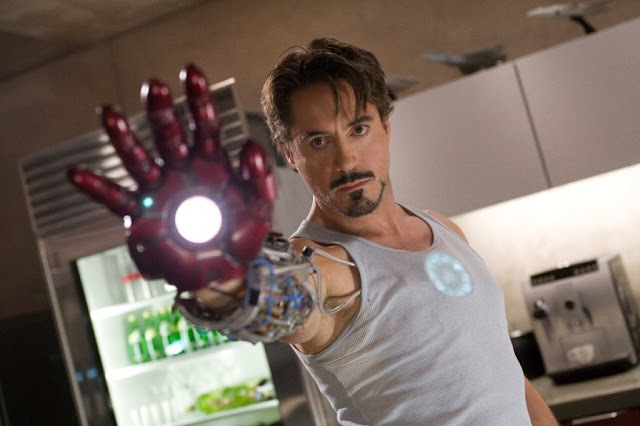 Iron Man (2008) Billionaire inventor Tony Stark builds a high tech power suit and vows to protect the world as Iron Man after being kidnapped and forced to build devastating weapons. Robert Downey Jr. had the comeback of the decade! Billy Elliot (2000) An adorable and heartwarming British drama about a little boy and his love for ballet dancing. 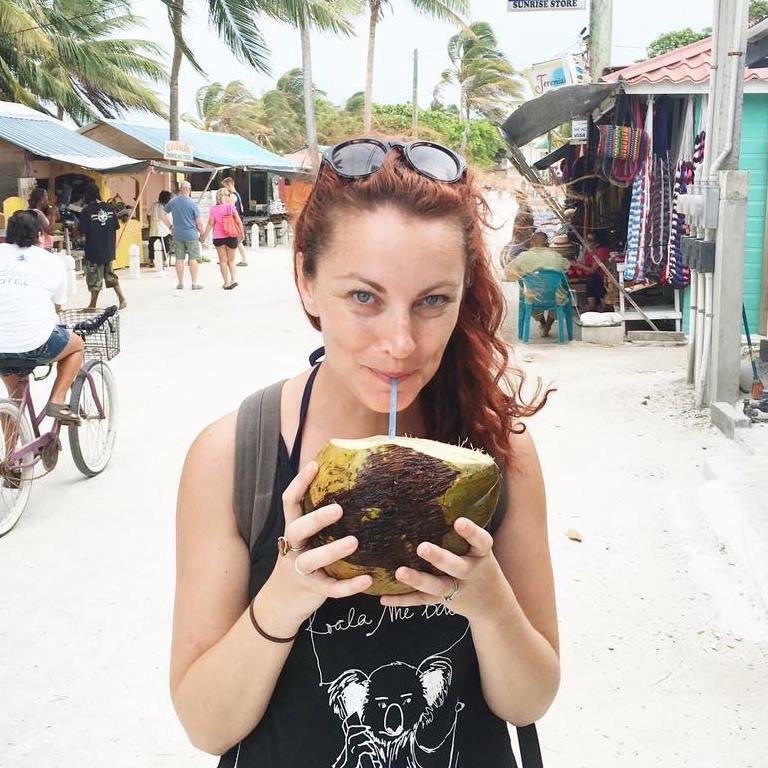 This inspiring tale is all about finding your passion and following your dreams. Kill Bill (2003) This film was so epic it was broken up into two installments. Tarantino's homage to older film genres is all about an assassin named The Bride, played by Uma Thurman, and her revenge for the team that betrayed her. Almost Famous (2000) A teenage journalist is given the chance to go on tour with rockband Stillwater and write for Rolling Stone. Writer/director Cameron Crowe was once a writer for Rolling Stone and the film is somewhat auto-biographical... and completely amazing. Children Of Men (2006) In the not too distant future, humanity faces extinction as the entire population is infertile and unable to procreate. This film is on it's way to becoming a Sci-Fi classic. 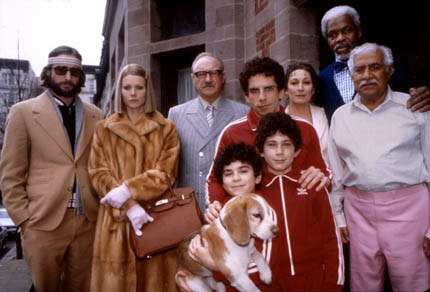 The Royal Tenenbaums (2001) Ironic and completely absurd is the only way to describe this Wes Anderson film. Not just a top film of the decade, could possibly be one of the best of all time. American Psycho (2000) Christian Bale plays a man with a psychotic serial killing alternate ego in this thriller. Let's just say Patrick Bateman was Dexter before Dexter. Juno (2007) A coming-of-age story about unplanned teen pregnancy. This comedy is incredibly offbeat but has the best writing and one of the best soundtracks of the decade! Y Tu Mamá También (2001) Another coming-of-age story about two teen boys who take a road-trip with an older woman. The sexuality of the film made it controversial but also made it one of the best films of the decade. Mulholland Drive (2001) Watching the film is like having an insane dream. After a car accident on Mulholland Dr a woman becomes amnesic and tries to find clues about what happened and who she is. The Incredibles (2004) An animated superhero movie, what's not to love? After being forced to live a quiet suburban life, a family of superheroes have to save the world. Bubble Boy (2001) A young boy born with no immune system, played by Jake Gyllenhaal, has to live in a confined bubble in his parents' home. He makes his own bubble suit and ventures out into the real world to chase after the woman he loves. Yes, it's as ridiculous as it sounds. Old School (2003) Three thirty-somethings try to re-live the youth of their college days by starting a frat. This movie has some of the best one-liners and quotes. The Notebook (2004) There are a couple tearjerkers on this list, but this one has to top them all. Based on the novel by Nicholas Sparks (also wrote A Walk to Remember), this film is the story about two young people from very different backgrounds falling in love. Amélie (2001) A whimsical Parisian tale of a young waitress who decides to help those around her and falls in love along the way. 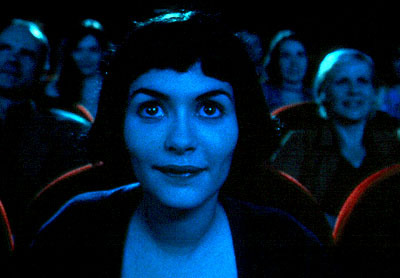 Audrey Tautou couldn't be more adorable. Zoolander (2001) Ben Stiller is at his best when he plays crazy over the top characters and this has to be one of the most quoted movies ever. "What is this?! A center for ants!?" The Departed (2006) The movie that finally got Scorcese his Oscar. If you need another reason besides that, here's 4... DiCaprio, Damon, Nicholson and Walhberg.